VA home loans have become more and more popular in recent years, perhaps due in part to the fact that more military personal are hearing about how beneficial a VA home loan is compared to your traditional home loan. Veterans and military service members that have not taken advantage of their VA home loan benefits may not understand the true value. Many simply do not understand and ask the question, how does a VA loan work? Understanding that VA loans were designed specifically for veterans and military personal is the first step. 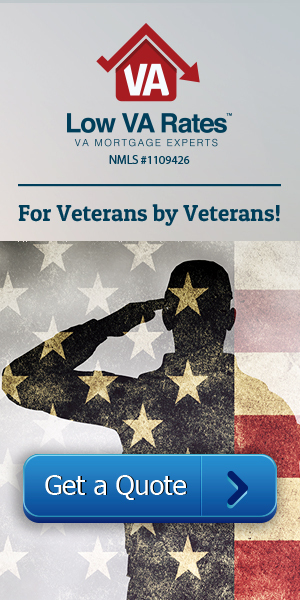 Veterans need and should be using this benefit to purchase a home. The VA mortgage loan is one of the best if not the best mortgage loans on the market. The VA loan was designed to help veterans and is an outstanding benefit. Not every home qualifies to be covered by a VA loan. The house must be a primary residence, for starters, and must be ready to move into at the time of purchase. Even if the house meets these requirements, it still must pass the VA appraisal. This will check to make sure everything about the house is in good working condition. That means no holes in the roof, no lead-based paint, proper heating and cooling systems, and much more. The entire list of requirements checked for in the appraisal is too long to include here. This really isn’t too much to ask for—who wants holes in their roof? Just know that the VA wants the best house for you. This appraisal will also determine how much the house is actually worth compared to the asking price. Applying is fairly simple, especially through Low VA Rates. Contact us and we’ll help you through every step of the process. The first in every application is determining eligibility. VA loans are offered to those who have served in the military (and their spouses) as long as those military members have served for at least the minimum time requirement for the period they served in. To prove your service, you must have a Certificate of Eligibility (COE), which the lender can easily request for you if you wish. Beyond service qualifications, we, along with most VA lenders, also prefer a minimum debt-to-income ratio of 43 percent or less. A credit score of 620 or higher helps as well. However, here’s a quick note on credit score: the VA does not have a minimum requirement, despite what you may have heard. Individual lenders will actually create their own minimum credit scores to feel more secure in giving a borrower a loan. This is a common and acceptable practice. At Low VA Rates, we may still be able to help you if your credit score doesn’t quite reach that 620 mark because we value more than just this number. Several decades ago, just after WWII, the government created the VA loan program so that veterans could easily purchase homes when they got back from war. However, the Department of Veterans Affairs is not a lender, and what I mean by that is that this department isn’t the one who gives money out to home buyers. Rather, the VA just backs these approved loans up to 25 percent of the amount so that if a borrower defaults, the VA will pay the lender to cover damages. You might think of it like insurance. Because of this generous backing, lenders can comfortably offer all the benefits that come with a VA home loan because they know their chances of losing money are significantly reduced. Like any loan, you pay into interest and principal each month, but rates are incredible low when compared to the competition. There is one additional fee charged to you that conventional loans do not charge. The VA funding fee. This allows the VA to keep backing veterans in the future, so it’s a very important fee to pay. It essentially takes place of private mortgage insurance (PMI), which you do not have to pay with a VA approved loan. Not paying PMI ends up saving every borrower a lot of money, and some veterans are even exempt from paying the funding fee if they have above a certain disability rating. When Would You Want One? With so many benefits offered through the VA, you might receive a more succinct answer if you asked when would I not want one? For purchasing a new house or refinancing the one you have now, it’s never too late to get a VA home loan. And your eligibility is reusable, so you don’t ever have to worry about using it up. Don’t wait to save money. Contact Low VA Rates today to learn more about how VA loans work.